KIKWIT, DR Congo, Jun 27 2012 (IPS) - The government of the Democratic Republic of Congo is enjoying success with the remedial education centres set up to give children from underprivileged backgrounds a free education and vocational training. Evodie Masenga is one of the 20,000 children at remedial education centres – known as CRS – who passed the final exam that marks the end of six years of primary school in DRC. The centres provide a special, accelerated programme for children between the ages of 9 and 11 who have had to leave school for one reason or another. “CRS educators undergo about three months of training to learn the special methods applied at the centres,” said Mutshio Lumbwe, another specialist in non-formal education. 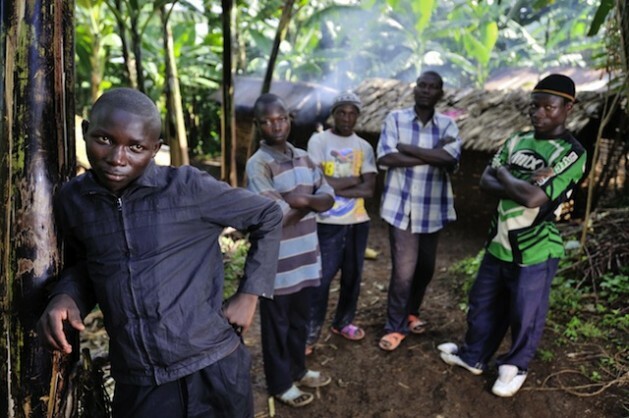 Widespread poverty in DRC means many households cannot afford school fees for their children. According to a 2008 United Nations Development Programme report, 70 percent of the population lives on less than one dollar a day. Fabien Elameji Tshibanda is an unemployed commercial agent from Mbuji-Mayi, a city in the centre of the country, who often turns to farming to make ends meet. “It’s been difficult for me to put my eight children through school,” he told IPS. It is one of the lowest enrolment rates in the world. According to the United Nations Children’s Fund(UNICEF), the East African country of Somalia, which has also been torn apart by decades of civil war, has an enrolment rate of 20 percent. “The roughly 20,000 children who have just passed TENAFEP (the primary school exam) this year come from 840 CRSs around the country, compared to 12,470 children registered in the 700 centres that we had last year,” said Albert Ketho, director general for non-formal education at the Ministry for Social Affairs. But Ketho said that material and financial assistance from partners like UNESCO, UNICEF and USAID are too limited to meet the centres’ needs. But, he added, the Congolese government itself has allocated only 125,000 dollars – less than 0.01 percent of its 2011 budget – to these educational institutions. “These centres are simply upholding the right to education that all children should enjoy. This is in line with several international instruments for the protection of the child that have been ratified by DRC,” said Joseph Lukubu, coordinator of the Network for International Training in Human Rights for Sustainable Development in Africa, an NGO based in Kikwit.